Crossover shoppers who are on the lookout for a versatile, stylish, and well-equipped vehicle will find what they are searching for with the 2017 Mercedes-Benz GLC. Despite running on a similar engine as the 2017 Audi Q3, the GLC is capable of producing an impressive 241 horsepower and 273 lb-ft torque. Not to mention, its 9-speed automatic transmission allows for quick and smooth shifts from one gear to the next. On top of power and next-level shifting, the Mercedes-Benz GLC also stands out in terms of efficiency. 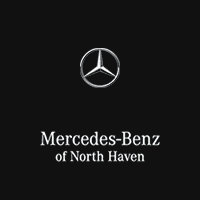 Thanks to high-quality engineering and the fuel-saving ECO-START®/STOP system, the 2017 GLC 300 is able to achieve up to EPA-estimated 22 city and 28 highway mpg*. It’s safe to say the 2017 Mercedes-Benz GLC SUV provides an ideal blend of power and efficiency to appeal to a wide variety of drivers. Although exterior design elements and performance capabilities are important for any crossover model, it’s what’s on the inside that really counts. Fortunately, the 2017 Mercedes-Benz GLC 300 interior in next-to-none. Not only does it offer more passenger and cargo space than the 2017 Audi Q3, but it also comes with a number of high-tech features aimed at improving convenience, safety, comfort, and entertainment on the road. *EPA estimated 22 city and 28 highway MPG highway with 17.4-gallon fuel tank capacity. You may get different mileage depending on driving conditions.